Taipei, April 10 (CNA) An international astronomical project, in which Taiwan has been participating, on Wednesday released the world's first picture of a black hole, a region of space with a gravitational field so intense that not even light can escape. The Event Horizon Telescope (EHT) observation campaign, comprising 13 research units from around the world, including Taiwan's Academia Sinica, captured the image in the heart of the massive distant galaxy Messier 87, some 55 million light-years from Earth. The black hole, one in category known as supermassive, has a mass 6.5-billion times that of the Sun. 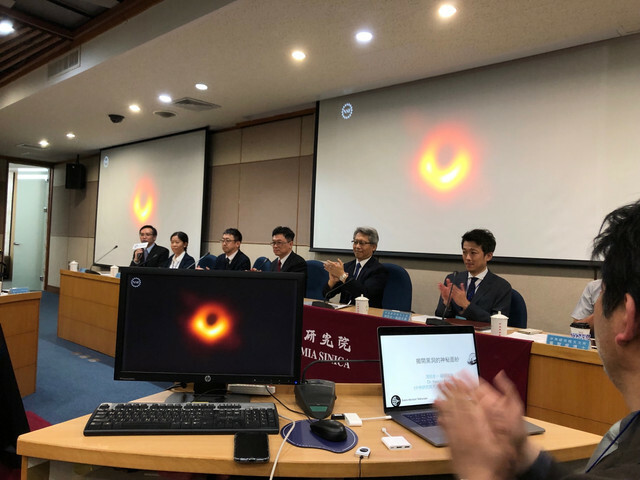 "This (photo) is a pioneering find in the study of black hole astro-physics," said Keiichi Asada, an associate research fellow at Academia Sinica and a science council member of the EHT who has been directly involved in the global project to capture the image. 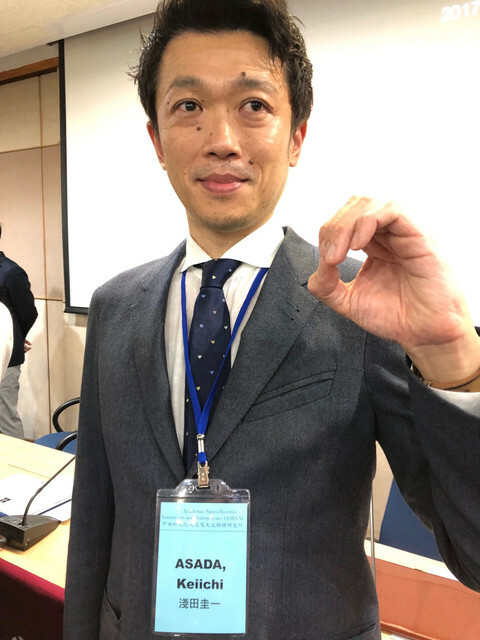 Keiichi Asada, an associate research fellow in Academia Sinica and EHT science council member, who has been directly involved in the project, showed CNA a "donut" gesture to celebrate the capture of world's first black hole image. According to NASA, a black hole is a great amount of matter packed into a very small area, and the result is a gravitational field so strong that nothing, not even light, can escape. The findings of the EHT, a project to create a large telescope array consisting of a global network of radio telescopes, was groundbreaking because there has never been visual footage of black holes, said Chou Mei-yin (周美吟), a scientist for Academia Sinica's education and public outreach. "Taiwan has made a significant contribution to this massive project," she said.